In 2004, the Company erected a new 18,400 square foot facility to house its specialization manufacturing processes. 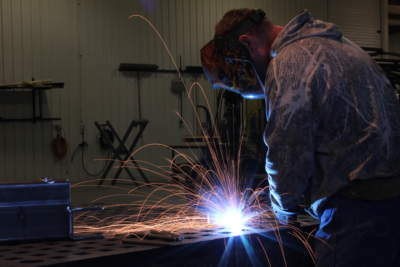 The facility is equipped with a large fabrication area complete with several ventilation hoods and grinding booths to provide a safe and clean work environment during the welding and metal fabrication processes. 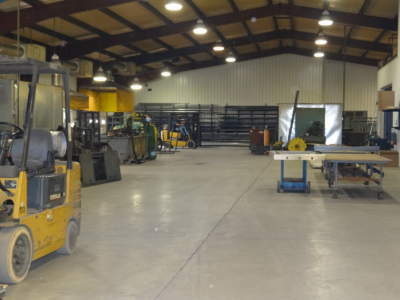 In addition, the facility has an in house sandblast room and paint booth to allow for metal preparation and painting after the hot dip galvanized coating has been applied to the structural metal weldements. An in house sewing room allows the Company to control the quality of the sewn pads, and to also be able to offer custom sizes and shapes as needed. The final assembly area has adequate room for assembly of numerous tables simultaneously and also allows adequate room for in house crating/packing of these tables for exporting of products around the world. Enter your information below and we'll get in touch.